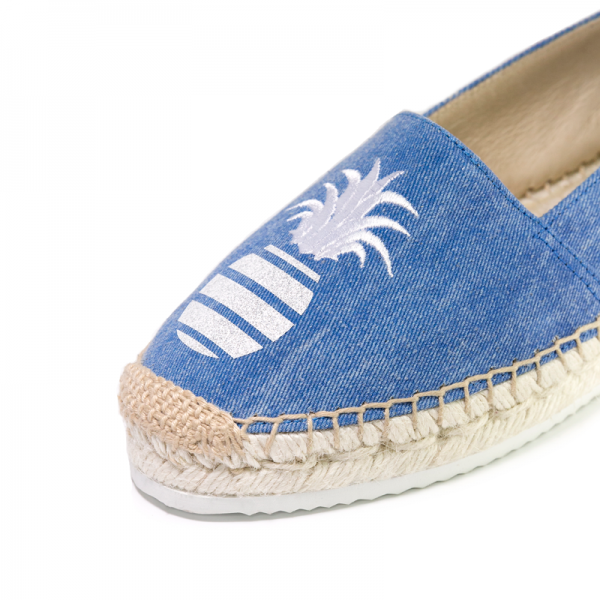 Blue denim wash espadrilles with embroidered and glitter signature pineapple to stay trendy and stylish. 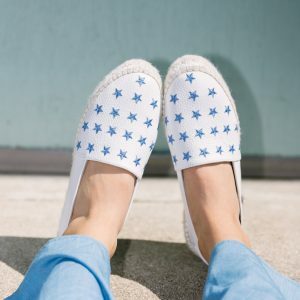 Make it fun with our espadrilles. They are from the beach to the city and everywhere. Our shoes are designed in Los Angeles and carefully handcrafted in Spain.